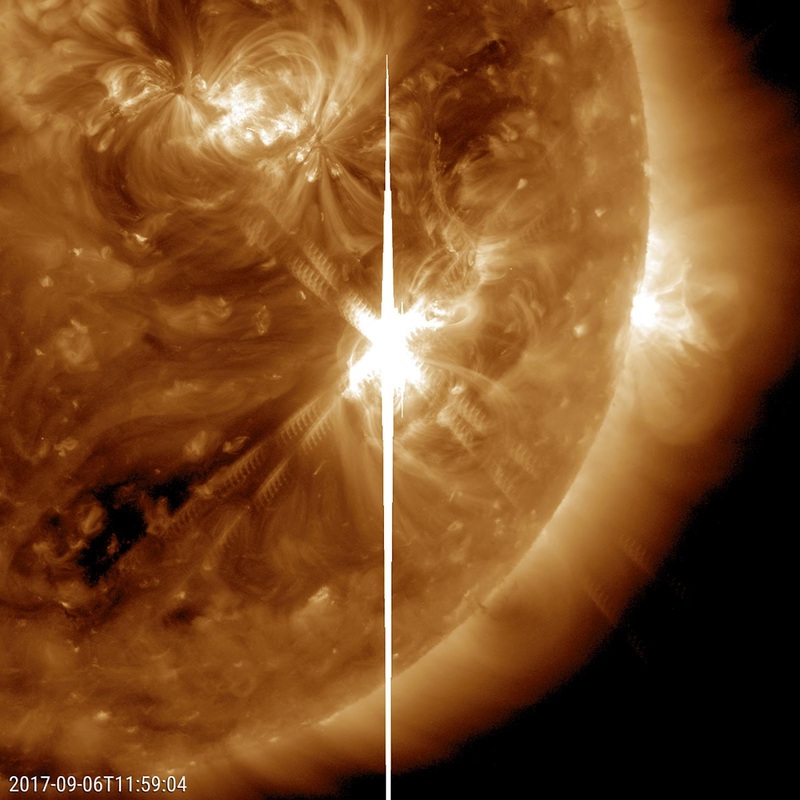 A large sunspot was the source of a powerful solar flare (an X 9.3) and a coronal mass ejection (Sept. 6, 2017). The flare was the largest solar flare of the last decade. For one thing, it created a strong shortwave radio blackout over Europe, Africa and the Atlantic Ocean. Sunspot 2673 has been also the source of several other smaller to medium-sized solar flares over the past few days. Data from the SOHO spacecraft shows the large cloud of particles blasting into space just after the flare. Note: the bright vertical line and the other rays with barred lines are aberrations in our instruments caused by the bright flash of the flare.